These little biscuits have no resemblance to the more famous shop bought biscuits of the same name, as you can see above. They are an old recipe that I remember my mum making when we were children, and their name comes from the fact that they have custard powder in them. Gluten free biscuit making can be a bit tricky as gluten free flours are so much drier, making biscuits much more crumbly. This is particularly a problem when it comes to rolling out the biscuit dough and cutting out the shapes. These biscuits don't have that problem though. 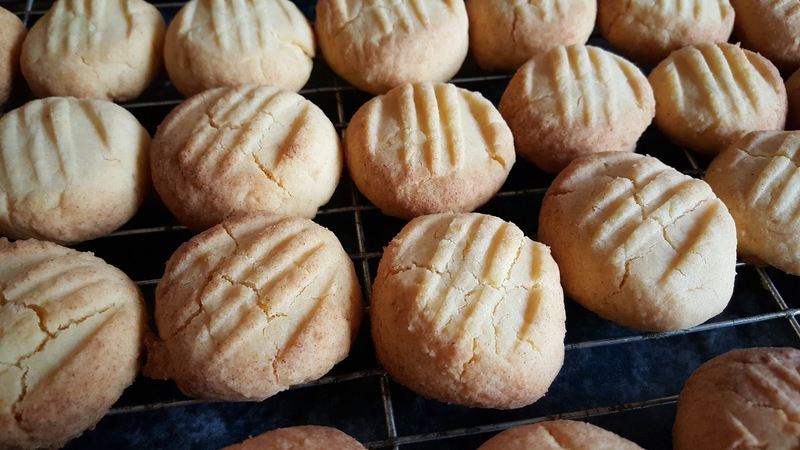 Firstly because they contain a large proportion of margarine, which keeps the dough moist, and secondly because you don't need to roll out the biscuit dough. Instead you take little handfuls of the mixture, roll it into balls and then flatten slightly. The little bit of butter icing used to sandwich them together, as well as the little bit of chocolate that they are dipped in, also help keep these from being the dry as dust experience that a gluten free biscuit can so often be. 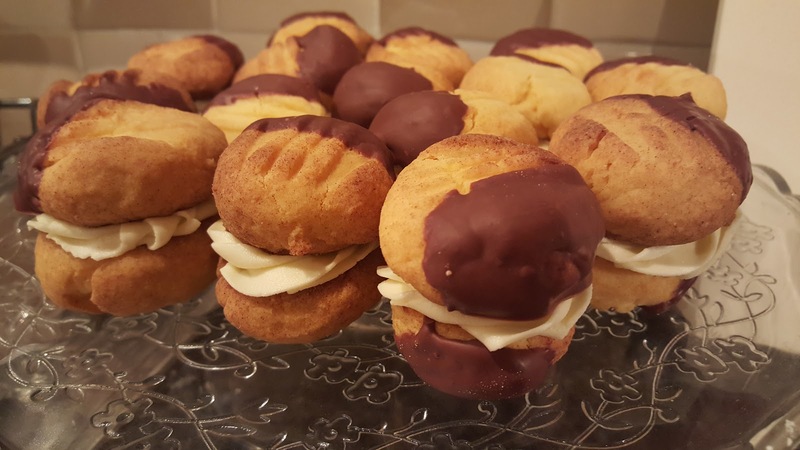 -Put the margarine and icing sugar in a bowl and cream together until light and fluffy. You can do this by hand with a wooden spoon but it is so much easier to do it in a mixer. 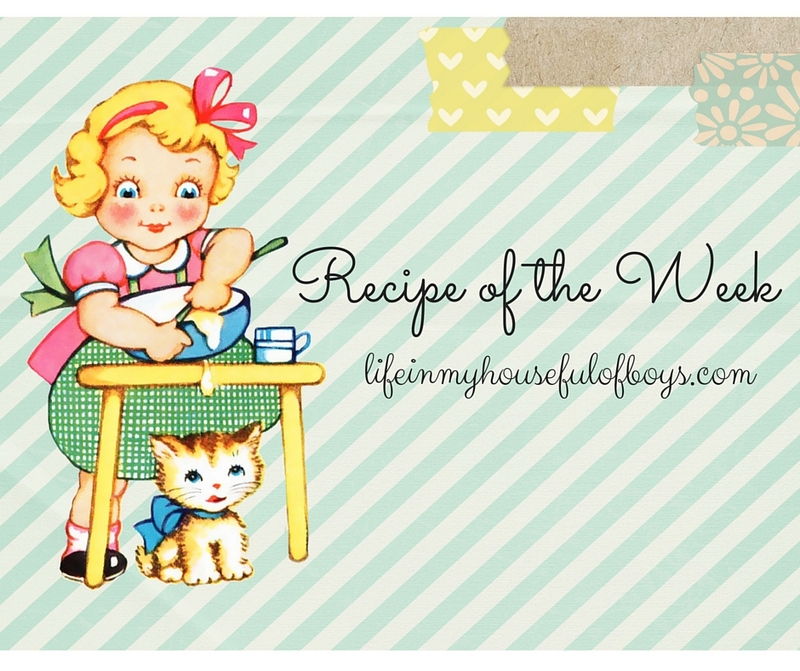 - Add the flour and custard powder and beat again until everything is mixed well together. 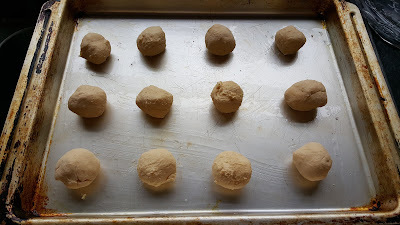 - Take a small handful of the dough and roll it into a ball - you might be better to flour your hands a little (using your free from flour, of course) so that it doesn't stick to your hands - and place on a greased baking tray. -Using a floured fork, lightly press down and flatten each ball a little. 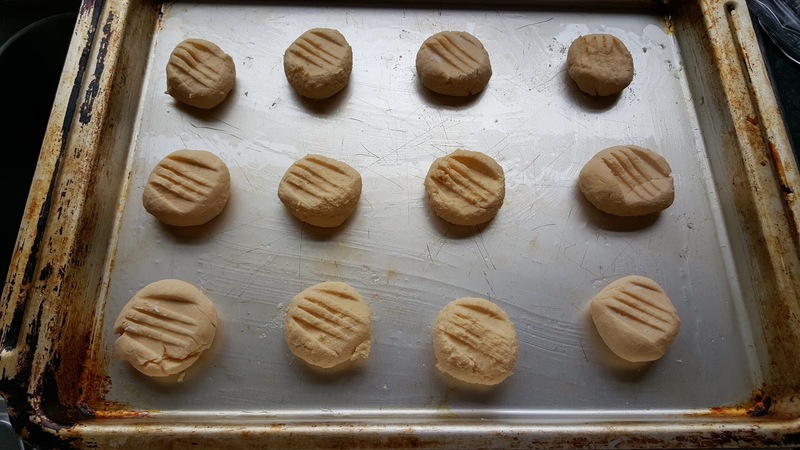 -Bake for around 20 minutes until golden brown, let them cool enough to handle and then put them on a cooling rack to cool properly. -While the biscuits are cooling you can melt the chocolate (in a bowl over a pan of boiled water) and make the butter icing. 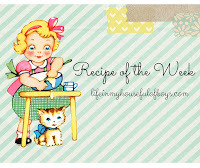 -To make the icing put the margarine and icing sugar in a bowl and beat together. Add the dairy free milk to help bring it together, but only add 1 tsp at first as it might be all you need. 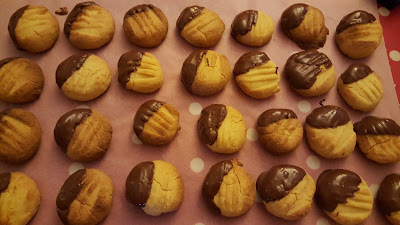 - Once the biscuits are cool, dip half of them in the melted chocolate and place on a sheet of baking parchment or tin foil until the chocolate hardens. - Finally, sandwich together two biscuits with a splodge of the butter icing in between them. You can do this by just spreading it on, or for a fancier look then pipe it in with a piping bag and star nozzle. 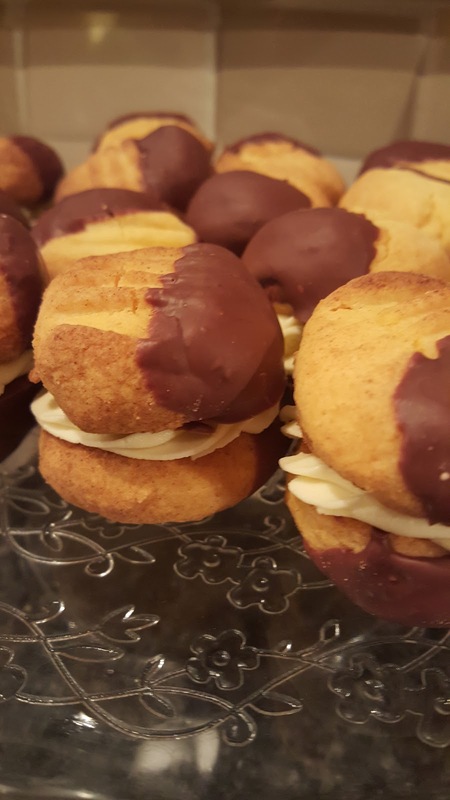 The same quantities of ingredients can be used to make these up using 'normal' ingredients too.